How will Steve Bannon weaponize Breitbart? President Donald Trump broke with his own party last month when he struck a debt ceiling deal with Democrats. Would Trump, in response to the deadliest mass shooting in modern American history, consider a bipartisan approach on gun control? Not if Steve Bannon has anything to say about it. In his ongoing effort to influence Trump outside the White House, Bannon warned the President that he would face a political cataclysm if he moved left on the issue. "Impossible: will be the end of everything," Bannon told Axios in a story published Tuesday. Trump has mostly avoided the re-emerging debate over guns since Sunday's massacre in Las Vegas; on Tuesday, he told reporters that "we'll be talking about gun laws as time goes by." Bannon returned to his role as executive chairman of Breitbart News after losing his job as Trump's chief strategist in August. The typically pro-Trump website's coverage of the shooting in Las Vegas has been predictable. One post mocked a story from the liberal New Republic calling for a total ban on guns; another piece rounded up the various celebrities who called for gun control following the shooting. On Tuesday morning, Trump's brief remark about "gun laws" was featured in the right corner of the Breitbart home page. Directly below it, as if it was a retort, was Bannon's ominous warning. Trump has been an outspoken ally to the gun lobby throughout his White House bid and presidency. In April, Trump told attendees at the National Rifle Association convention that they had a "true friend and champion in the White House." Still, Trump has also proven to be flexible at times. Last month, Trump bucked Republican leaders to support a deal that provided disaster relief funding and raised the debt ceiling in order to continue funding the government. Around the same time, Trump appeared receptive to an agreement with Democrats that would protect hundreds of thousands of undocumented immigrants from deportation -- a move that annoyed many of the President's supporters, who were attracted to his hardline message on immigration and border security. But Bannon told Axios that the President's base would be more upset by a leftward pivot on gun control than even support for an immigration amnesty bill. 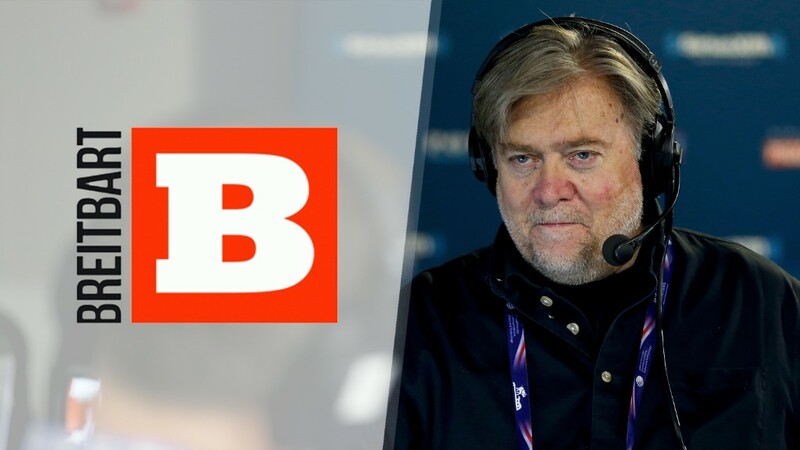 Breitbart has broken with the administration since Bannon's return in the summer. Following Trump's debt ceiling deal with Democrats, Breitbart editor-at-large Peter Schweizer called it a "capitulation." And under Bannon's instructions, Breitbart served up decidedly negative coverage of Luther Strange, the Trump-endorsed Republican in the Alabama Senate race. Roy Moore, the ultra-conservative backed by Bannon and Breitbart, defeated Strange last week to claim the party's nomination.